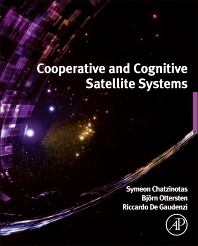 Cooperative and Cognitive Satellite Systems provides a solid overview of the current research in the field of cooperative and cognitive satellite systems, helping users understand how to incorporate state-of-the-art communication techniques in innovative satellite network architectures to enable the next generation of satellite systems. The book is edited and written by top researchers and practitioners in the field, providing a comprehensive explanation of current research that allows users to discover future technologies and their applications, integrate satellite and terrestrial systems and services to create innovative network architectures, understand the requirements and possibilities for future satellite communications standards and protocols, and evaluate the feasibility and practical constraints involved in the deployment process. Symeon Chatzinotas is a Research Scientist at the Interdisciplinary Centre for Security, Reliability and Trust, University of Luxembourg. He has worked on numerous R&D projects and has authored more than 120 technical papers in refereed international journals, conferences and scientific books. He has served as Technical Program Committee member in numerous conferences and he is a Senior IEEE member. His research interests are in multiuser information theory, cooperative/ cognitive communications, and wireless network optimization. Björn Ottersten is Director for the Interdisciplinary Centre for Security, Reliability and Trust at the University of Luxembourg. As Digital Champion of Luxembourg, he acts as an adviser to the European Commissioner. He has held high level research and teaching positions at various universities, and was Director of Research at ArrayComm Inc, a start-up in San Jose, CA, based on his own patented technology. He has authored over 450 scientific papers, including many award-winning journal and conference papers. He is currently editor in chief of EURASIP Signal Processing Journal. 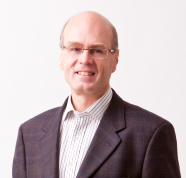 Dr. Ottersten is a Fellow of the IEEE and EURASIP. In 2011 he received the IEEE Signal Processing Society Technical Achievement Award. His research interests include security and trust, reliable wireless communications, and statistical signal processing. Riccardo de Gaudenzi is Head of the Radio Frequency Systems, Payload and Technology Division at the European Space Agency Research and Technology Centre (ESTEC), Noordwijk, The Netherlands. The division is responsible for supporting the definition and development of advanced satellite system, subsystems and related technologies for telecommunications, navigation and earth observation applications. He has been responsible for a large number of R&D activities for TT&C, Telecom and Navigation applications. He spent one year with Qualcomm Inc., San Diego USA, in the Globalstar project system group. His current interest is mainly related with efficient digital modulation and multiple access techniques for fixed and mobile satellite services, synchronization topics, adaptive interference mitigation techniques and communication systems simulation techniques. He actively contributed to the development and the demonstration of the ETSI S-UMTS Family A, S-MIM, DVB-S2, DVB-S2X, DVB-RCS2 and DVB-SH standards. He has published more than 140 scientific papers and own more than 20 patents.